It’s been nearly two months since I came back from my west coast vacation and I have yet to post anything from my trip. October starts tomorrow (can you believe it?) and it seems like the perfect time to reflect on summer and back to those memories and experiences. There will be a travel related post once a week with photos and a video. To kick off the series, I gathered a bunch of momentos as a preview to what’s to come. 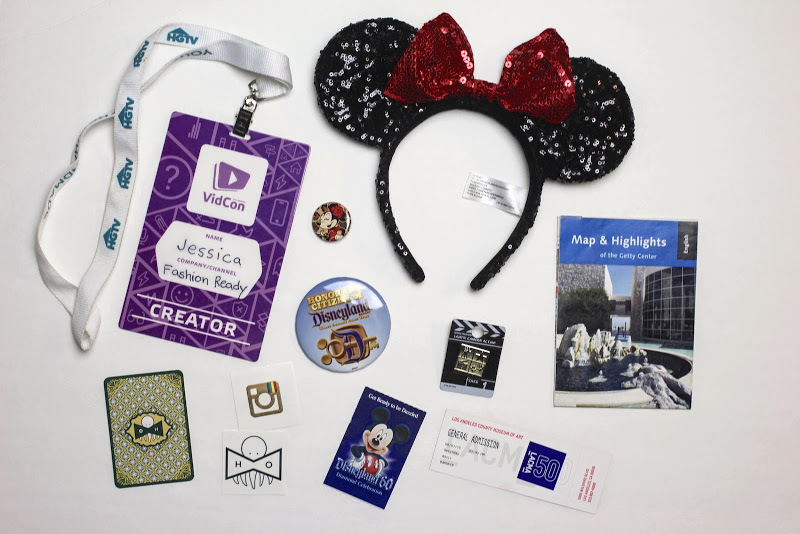 From Vidcon to Disneyland to out and about in LA, I have a lot to share. I hope you’re just as excited as I am for these upcoming posts.